Australia’s most successful and legendary leg spinner Shane Warne’s was sympathetic for his friend and current Australian Captain Michael Clarke after his side lost the test series against SA. Seeing the wayward Australian bowling, Shane Warne has gone to the extent that he has offered his services for the test team. He said that seeing the performance of the bowlers, he really wanted to pick the bowl and go to the field. 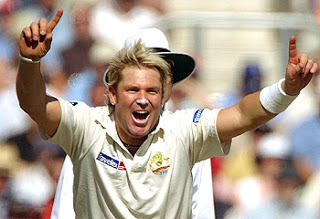 Although the chances seem remote, Warne said that all he was waiting for a serious call from Clarke and he would be out of retirement and play for Ashes tests next season. However he expressed he would want to earn his place in the team by playing and performing well in the domestic season before a Test recall could be considered. Warne said that he was sill very fit to play test cricket even if a test was three weeks away of which he was a part, he would have no problems whatsoever. Warne said that the challenge for him was not his fitness but his family life and personal commitments as his wife was in other continent at work and he had to travel between Europe and Australia with kids at times. He has 3 kids aged 16, 14 and 12. Warne will be captaining the Melbourne Stars in this summer’s Big Bash League and has bowled well for the team in their warm up matches. He has got a total of 706 test wickets and was the highest test wicket taker till his retirement, when Sri Lanka’s Muttiah Murralitharan surpassed him and became highest test wicket taker with 800 wickets.